The room was updated in 2011 with a generous donation from the HON Company who truly transformed the space into a flexible modern day classroom. Imagine having the capability to redesign a classroom within minutes to support the learning goals. 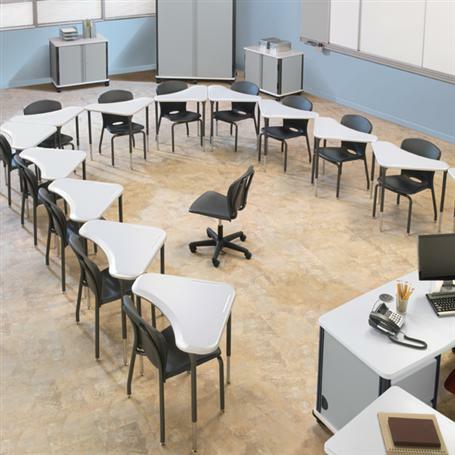 With the innovative shape of the SmartLink furniture, any instructor can easily modify the learning space environment tailoring it to fit the lesson design and purpose; whether the need be for individual, student/group collaboration or student-centered layouts. HON transforms a learning space to create a dynamic classroom environment using easily moveable SmartLink furniture. 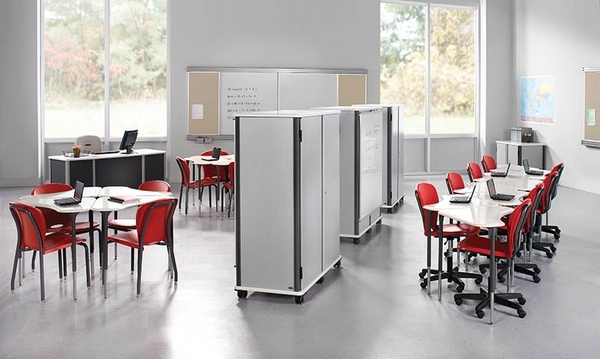 SmartLink furniture is designed to utilize space while increasing productivity. They are flexible, durable, smart solutions that can easily be reconfigured to facilitate interactive learning and better support individual teaching and learning styles. The desk configurations within AS196 take a matter of minutes to create. 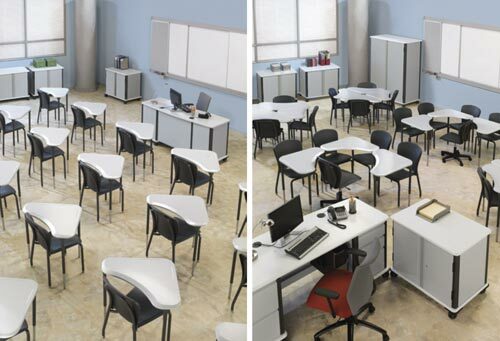 The SmartLink furniture, provided by HON, is designed to easily move in a variety of layouts. The instructor is limited only by their imagination! Rows and Groups: Design your learning space for your lesson needs. Use rows for independent work and groups for collaboration. Debate and Speeches: Give the students the floor to enhance cross communication.